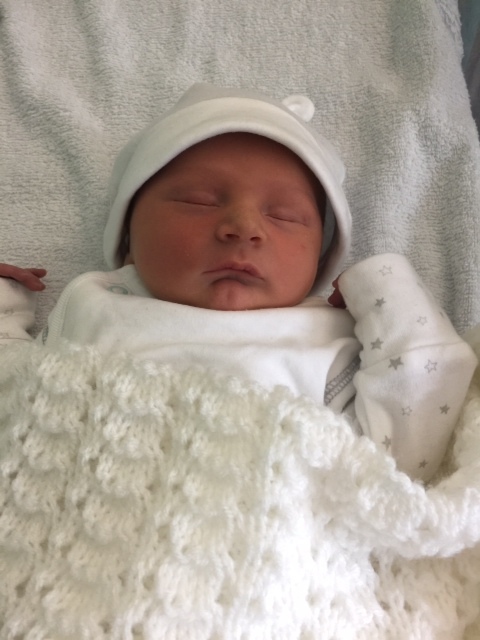 Just wanted to let you know that Thomas Jon Phillipson was born last Tuesday (3.11.15) at 13.42 and weighed 7lb 9oz. I would like to thank you for all the support, tips and hypnobirthing strategies. I had a wonderful and quick labour and can honestly say I enjoyed it. I went into labour around 2 in the morning and listened to the hypnobirthing music and tried to relax and get comfortable. I then had a bath around 6am. My surges started to increase very quickly from about 8 onwards and remained at home as long as I could. When I started to feel Tommy’s head coming I knew we had better get to hospital! Once in hospital I was taken to the birth centre and was told baby was coming so there was no time for the water. Pretty much within 3 pushes he was born. I had 4 paracetamol and used the Tens machine that was all! I had no gas and air (even though the midwife kept offering it to me) and even had to turn down my machine! The essential oils really helped (and are still helping now). The breathing and focusing techniques really helped and I was so proud that Tommy was born so naturally as possible. I am very lucky to have had such a lovely labour and am so happy that we have a beautiful, healthy baby boy! I am so pleased we went to your fourth class the other week as he came 2 weeks early and I would have missed tonight’s last session. Please let everyone know at the class tonight that hypnobirthing does work and for them to look forward to labour and to meeting their babies. I have had a very positive experience and they can too! On a personal note thanks for all your advice, tips and support! I really enjoyed your classes and will recommend you very highly to anyone I know who is pregnant.